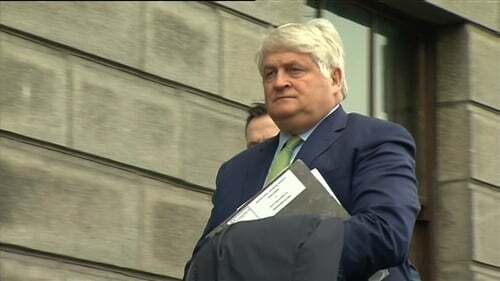 Businessman Denis O'Brien has lost his High Court action for defamation against The Sunday Business Post. The jury found that articles published in the newspaper on March 15, 2015, meant that the story of Mr O'Brien's borrowings and the amount of the borrowings was telling and disturbing and that Mr O'Brien was massively overstretched and faced huge financial pressure in November 2008. But the jury found none of this was defamatory of Mr O'Brien. Mr O'Brien must now pay the costs of the case, which lasted for 17 days in the High Court. The articles were based on a report to Government by accountants PwC about Ireland's banks. The newspaper said the report listed the 22 people who owed the most money to the banks. Mr O'Brien claimed the articles meant that he was one of a gang of 22 "developer kings" who destroyed the country and bankrupted its banks, that he received cheap and easy money as a result of improper influence with bankers, politicians and civil servants and that he had tried to keep the report a secret. The newspaper denied the articles had these meanings and claimed they were published in good faith on a subject of public interest. Lawyers for the Business Post had told the jurors the case was disgraceful and should be thrown out in its entirety. Senior Counsel Michael McDowell told jurors the allegations of defamation were unfounded, manufactured, false, damaging, irresponsible and malicious. "The Sunday Business Post welcomes the verdict of the jury in the High Court today to reject a claim of defamation made against the paper by Mr Denis O’Brien in respect of the paper’s coverage in 2015 of a matter of significant public interest. "While the article which led to this action predated the purchase of the Sunday Business Post by Kilcullen Capital Partners, the issues raised are of critical importance for the media in Ireland and therefore the new owners were happy to support the paper’s defence of this claim." CEO Siobhán Lennon said: "The Sunday Business Post prides itself on its independence and objectivity. Now more than ever a strong, independent and objective media is essential to a functioning democracy. "The case highlights the extent to which Ireland’s defamation laws place significant constraints on all Irish media outlets in their efforts to provide robust, objective and fair scrutiny of the stories that matter to Irish democracy. We believe it is time for action to reform the relevant defamation laws and to ensure that the media are liberated from unreasonable pressures which currently exist," added Ms Lennon. The CEO thanked Michael McDowell SC, Shane English BL, John Doyle of Dillon Eustace, former business editor Tom Lyons and former editor of the paper, Ian Kehoe, "for their time and robust defence of this case". Séamus Dooley, Irish Secretary of the National Union of Journalists, welcomed the decision of the jury. 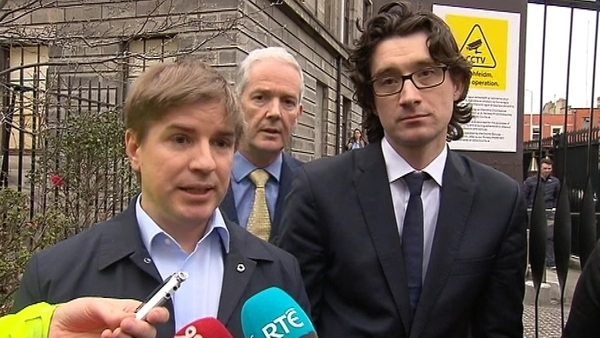 "Mr Lyons and Mr Kehoe withstood enormous pressure in the witness box and deserve credit for the manner in which they stood up for the principles of media freedom," added Mr Dooley.